Digital signage is a multi-billion dollar industry that is expected to grow at a break-neck pace of more than 7% annually over the next four years and no company is more at home in that arena than AOPEN. From interactive customer kiosks to massive, multi-display advertising, AOPEN’s Chromebase and Chromebox lineups are industry leaders in lightweight, mass deployable signage solutions that offer cost-effective products that are easily managed from the Administration Console. 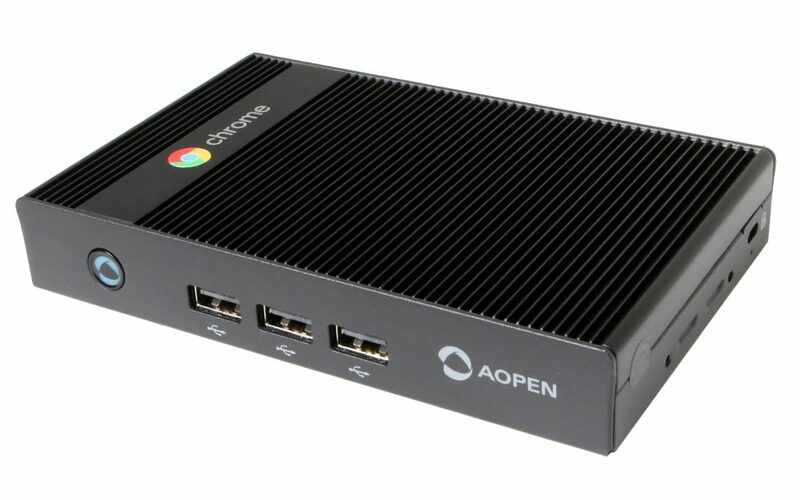 AOPEN has now announced their latest device for digital signage in the form of the Commercial Chromebox 2 that will offer some unique features in comparison to their 8th gen counterparts from OEMs like ASUS, Acer, HP and even CTL. First, the AOPEN Chromebox 2 will offer a fanless design come in a Celeron and Core i3 configurations. We don’t have all of the official specs at the moment but based on my research, we can surmise that the Core model will be the 7th gen 7100-U from the Kaby Lake mobile lineup. Being that kiosks and signage don’t generally require the computing power that a desktop device needs, the fanless 7th gen processors can offer all the performance with reduced cost and quiet design. Another unique feature of the Commercial Chromebox 2 are the slim design that takes its cues from AOPEN’s original box as well as the Chromebox Mini. We have the Chromebox Mini here in the office and I can tell you, it is tough. The metal chassis is designed for abuse and the thin design makes it perfect for mounting behind a display. The latest Commercial Chromebox will support 4K content and are capable of pushing a dual-display setup from a single box. 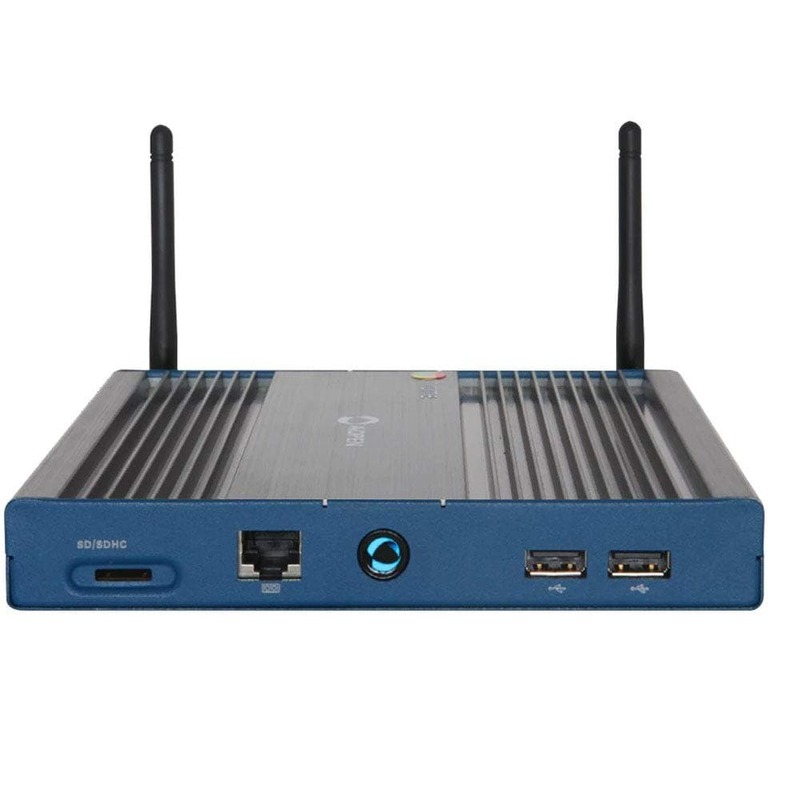 The AOPEN Commercial Chromebox 2 will make its debut at the Digital Signage Expo 2019 on 27 March in Las Vegas and later in April at Google’s Cloud Next event in San Francisco. Learn more about AOPEN and get updates on the new Commercial Chromebox 2 here.